The Agilent E1438C (E1438D) is ideal for signal acquisition and analysis, high resolution ATE and radar testing applications. This single-channel 100 MSa/s digitizer combines exceptional spurious-free dynamic range with alias-protected signal conditioning, center-frequency tunable digital filtering, and a large signal capture memory. The only difference between the C and D versions is the E1438D includes a 2.5 Gbit/sec optical front panel data port and support for the VXI local bus. 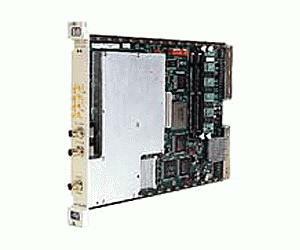 The E1348C (E1438D) is a single-slot C-size VXI module.